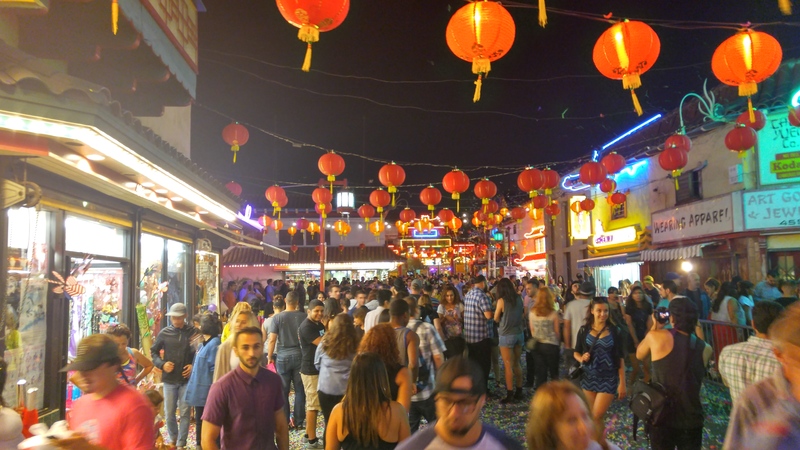 Chinatown Summer Nights is an event I attended years ago and would normally pass on now because of the large crowds, rip off parking, food trucks, endless lines, and white people in straw rice hats. I figured this year would be different. I just assumed they would have figured it out and got things more organized, but unfortunately it’s more of the same. down to $5. Sounds like a hellish time, but the atmosphere alone made up for all the negatives. The live music, neon lights, constant confetti, and free Orange chicken from Panda Express made it worth the trip. 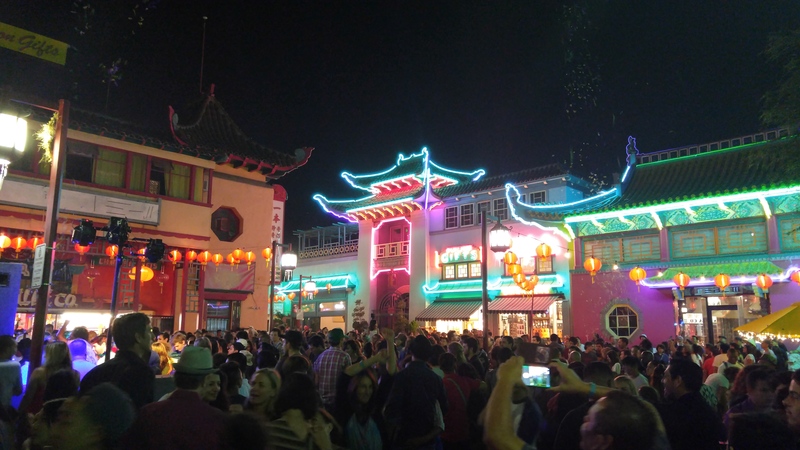 Don’t come expecting a religious food experience, but definitely light one up and enjoy the lights and music.